Stockholm has been described as a floating city because of all the surrounding islands. Water defines daily life in Sweden. So hop onboard a boat to explore the city. WikiLeaks founder Julian Assange first grabbed headlines by leaking US military secrets in 2010 and has remained the center of a global controversy ever since. DW brings you a look at what led up to his dramatic arrest. One of Sweden's largest banks has been implicated in a massive money laundering scandal, standing accused of giving US investigators misleading information. The bank's chief executive, Birgitte Bonnesen, has been fired. 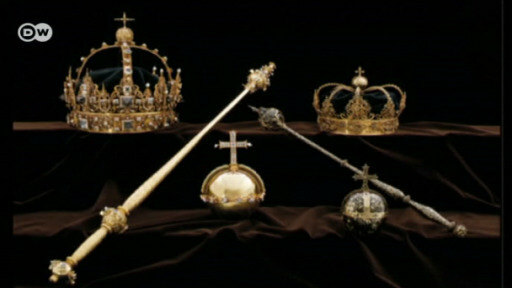 A trial in Stockholm over stolen royal Swedish jewelry was suspended when the missing objects were found in a trash bin. Authorities are now checking to see whether they are authentic. The daring heist of royal regalia involved thieves escaping on bicycles to a motorboat waiting on Lake Malaren. One man has now been sentenced to jail and two others are under investigation.